Landlords in Toronto were shocked to discover that their tenant’s boyfriend had converted their upscale single-family home into a boarding facility for international students. According to a news report, the landlords found out about the situation only after being contacted by reporters. Student residents complained about living conditions in the house, including having to share common areas with as many as 12 or more students at a time. The occupant, who allegedly appeared to students to be the owner of the property, may have generated around $7,000 per month — enough to pay the rent and pocket $2,500 — according to the report. The landlords, who were living overseas, say they had engaged a property manager to find a suitable tenant and to collect rent. It is unclear why the manager failed to discover that the original tenant had moved out, leaving behind a boyfriend who was not on the tenancy agreement, or that the occupant was leasing out rooms in the property to multiple students. While the resident insists there was no damage to the property and that rent was paid, the actions may have violated the law — such as a ban on boarding houses that carries a $50,000 fine and a prohibition on collecting security deposits — placing the landlords in jeopardy. April Stewart, a highly-reputable paralegal who represents landlords before Ontario’s Landlord and Tenant Board, points out that this case serves as a lesson for absentee landlords, who need someone to be their “eyes and ears” while they are away. Landlords who are not going to be in close proximity to the rental property are at great risk for income loss, particularly property damage that stems from the tenants breaking the lease. In fact, landlords may want to consider the wisdom of informing tenants that the landlord will be out of town. It is virtually impossible to manage a property from a geographic distance or when the landlord’s other job is too demanding to allow active property management. Equally problematic is leaving a family member or friend who is not well-versed in landlord-tenant law in charge during the absence. Even the best tenants will make mistakes while trying to pick up the slack caused by the landlord’s inability to handle the day-to-day management of the property. 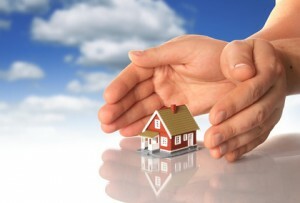 A property manager may be the only option for landlords who will be absent. However, that system only works if the landlord and property manager have set out the full scope of duties required of the manager. When hiring a property manager, don’t be intimidated by the cost or make a decision based solely on lower price. An experienced manager likely will increase rental income and reduce costs, and a lower price may mean less service provided. It is crucial to interview the company or agent and find out what services will be included for the price. At a minimum, the property manager must screen tenants, provide a tenancy agreement, conduct move-in and move-out inspections, be available to make repairs and handle emergencies, and be on hand to inspect the property periodically. In most cases, the tenant need not know that the owner is out of town, because the tenant is being supervised by the manager. That’s the key to reducing income loss. When choosing the right property manager, ask for details about the company’s tenant screening policies. Will someone run tenant screening reports? Speak to the previous landlords? Confirm the rental history? The person should be familiar with all these tasks and readily answer the questions. Merely checking credit scores or verifying income is not enough, as the applicant may have a bad rental history. In addition, the manager should have a list of preferred vendors for making repairs, and be familiar with common landlord forms, like a rental application, a tenancy agreement that is tailored for the locale, and condition inspection reports. Check in with the manager periodically to ensure that your property is not being neglected. A good property manager can reduce the risks associated with long-distance tenancies, and put out-of-town landlords on par with others in the community. The result: the ability to enjoy rental income and appreciation of the property without sacrificing safety.